Many players operate under the assumption that when the ball is below their feet, shots will tend to slice to the right. Although many players have problems slicing the ball, this sidehill situation does not contribute substantially to shots going to the right. The reasons shots go to the left when the ball is above your feet is that we are forced to set up with the toe of the club higher than the heel. This does not hold true in the converse. When the ball is below our feet, we generally adjust our stance and body position, but do not tilt the club itself much from the normal playing position. 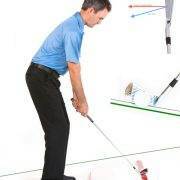 In these circumstances, the club is normally positioned with the heel of the club against the hill and the toe of the club slightly raised, but overall, the head of the club remains in a standard horizontal position. Because of this, there is no physical reason for the ball to go to the right, except perhaps in extreme circumstances when we are forced to stand much closer to the ball. Players who incorrectly account for the ball going to the right in these situations often find themselves missing the target to the left. As far as setup goes, there are a few things that we can do in this situation. I suggest widening your stance slightly and bending your knees a little more than normal. 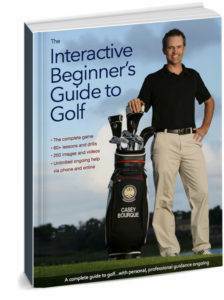 This will help you get down a little bit closer to the ball’s level. 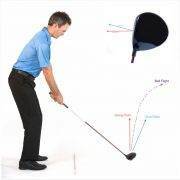 I would suggest taking an extra club and swinging smoothly, rather than trying to hit the shot as hard as you can. Swing level, meaning without extra raising and lowering of your body throughout the swing to help make solid contact with the ball. Focus on maintaining good posture and stability throughout your swing, as it is easy to lose your balance on uneven surfaces. 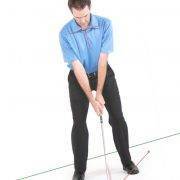 In summary, there is a substantial misconception about sidehill lies when the ball is sitting below your feet. 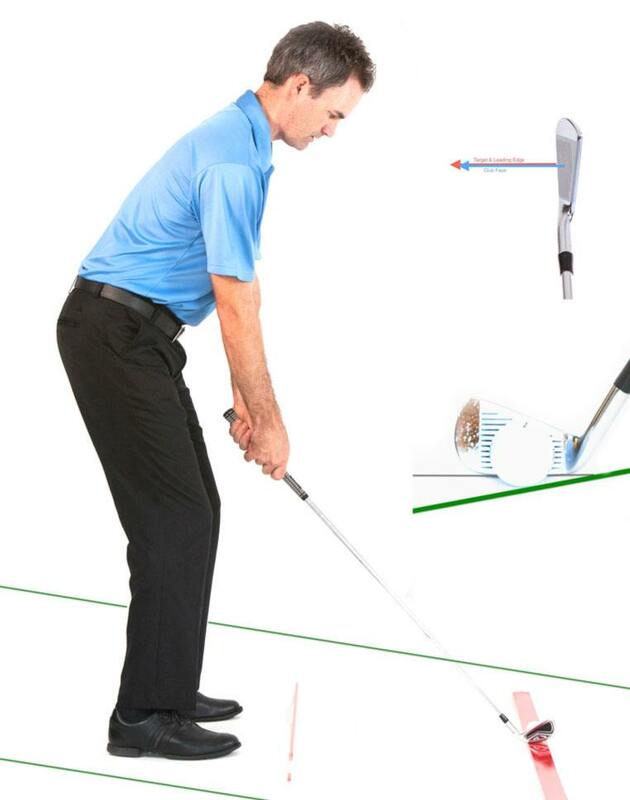 Many players believe that shots will tend to slice or go to the right in this circumstance. There is no physical reason why this should be the case. Align yourself normally and do not account for any extra slice or hook from these lies. 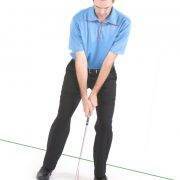 In more severe circumstances, widen your stance and bend your knees to get your body down closer to the ball. It may be a good idea to take an extra club and swing under control, helping you maintain level posture and balance in these awkward swings.